These and a myriad of other issues come up every day at work and for the most part they are absorbed into the actions of the day with little thought about how they are ultimately impacting the success of the business. Most conflicts don’t need to be addressed, but when they do, they need to be done efficiently, effectively and with respect. In our work with individuals and teams we focus on helping people identify the key skills associated with successful conflict management. 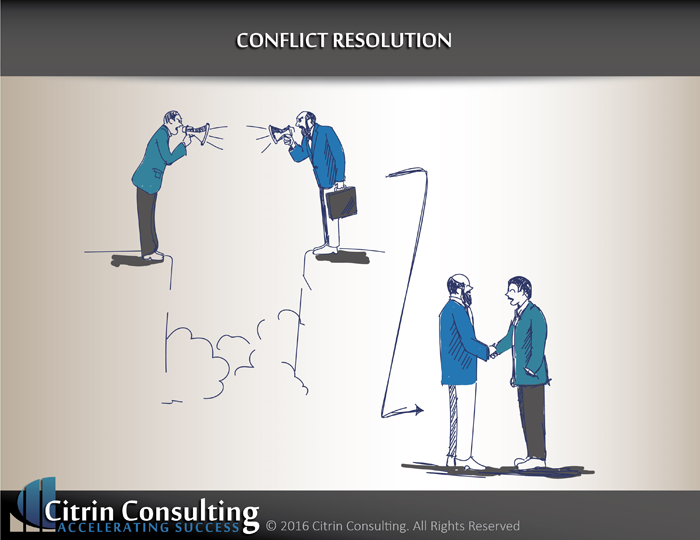 Practicing the skills of conflict resolution so that the behaviors are engrained and that each person is comfortable in knowing how they will address challenging situations in the future. Conflict in inevitable but having a strategy to address will not only put it in the past but will help to build a stronger working group.